Erik Williams assists clients with commercial real estate transactions, with an emphasis on site acquisition, disposition, finance, construction, and leasing matters. He has advised a broad range of public and private clients, from small entrepreneurs to large institutions. Erik also represents numerous hospital and health care institutions, colleges and universities, and developers in connection with complex project development and construction-related matters. He also advises landlords and tenants on matters involving real estate law, including the development approval process, financing, leasing and construction. 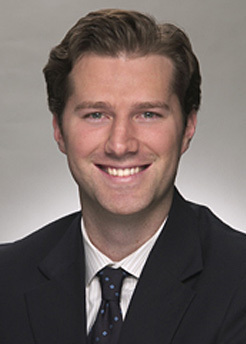 Erik regularly lectures to a variety of audiences on real estate-related legal issues. He co-authored several chapters in the Annual Real Estate Institute Manual, published by the Pennsylvania Bar Institute (PBI). He is also a frequent contributor to various real estate periodicals and actively participates in firm management, including as vice chair of the Real Estate, Energy and Environmental Department and vice office managing partner of the Philadelphia office. Prior to entering law school, Erik taught English and journalism at St. Michael’s High School on the Navajo Nation Reservation in Window Rock, Arizona. He received AmeriCorps’ National Service Award for outstanding volunteer contribution to national education. Extensive experience in due diligence and opportunity review as well as preparation, review and negotiation of term sheets, agreements of sale, loan documents, leases, licenses, easements, asset transfer agreements, and utility and service agreements.